YSU’s Kendrick Perry attempts a layup during Wednesday’s 85-78 loss to Kent State at the Beeghly Center. 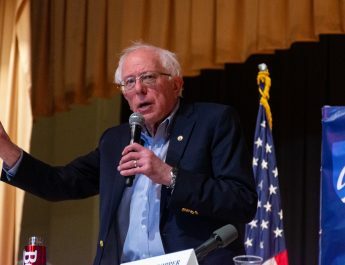 Photo by Dustin Livesay/The Jambar. The Penguins lost 85-78 in Wednesday’s overtime loss to Kent State University at the Beeghly Center. Indeed they have, although they’ve often underperformed in crunch time. Having lost for straight games, Youngstown State University (3-4) has had its chances late in each of the defeats. The Penguins and the Golden Flashes played a back-and-forth affair, as there were 11 lead changes in the first four quarters. With 38.9 seconds remaining in regulation, YSU had its best opportunity. Inbounding the ball to DJ Cole, he found Kendrick Perry slashing to basket. Perry put up a layup, missing off the left-rim. Following the Perry miss, KSU’s Randal Holt attempted a 3-pointer at the buzzer. His shot missed and sent the game to overtime. Controlling the extra period, the Golden Flashes were able to hold off YSU with solid defense and clutch free throws. KSU was 8-9 from the line in OT. Chris Evans led the Golden Flashes with 24 points and 10 rebounds. Also effective for KSU was Holt, finishing with 21 points and five 3-point shots. 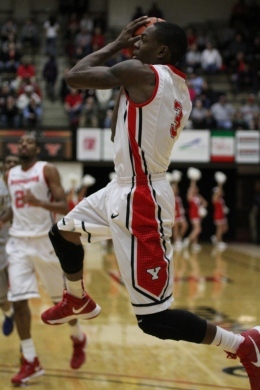 For YSU, Perry was the leading scorer with 26 points, while Damian Eargle added 18 points and 10 rebounds.